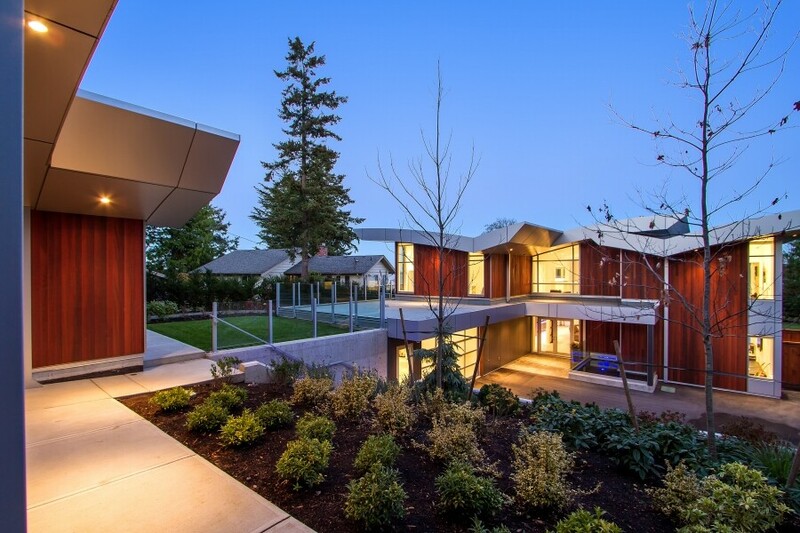 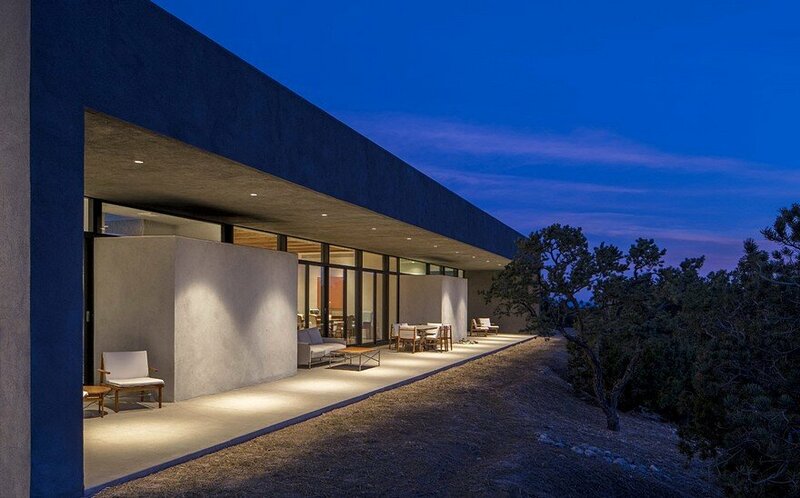 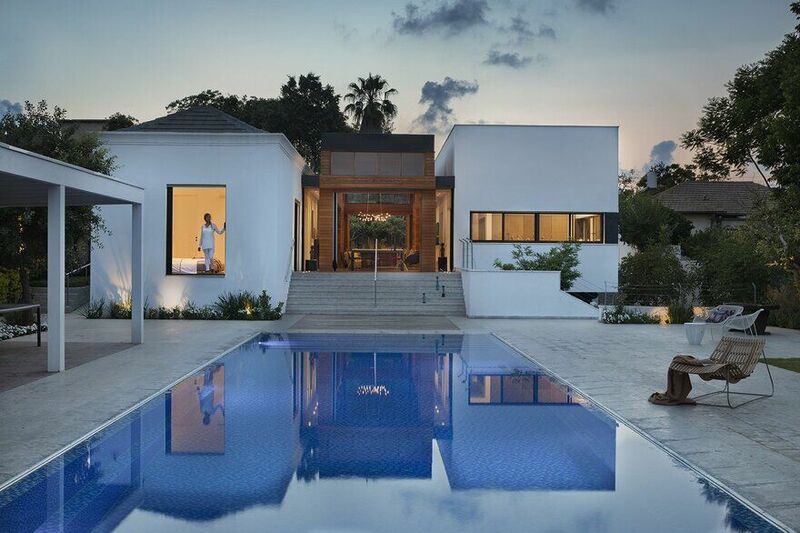 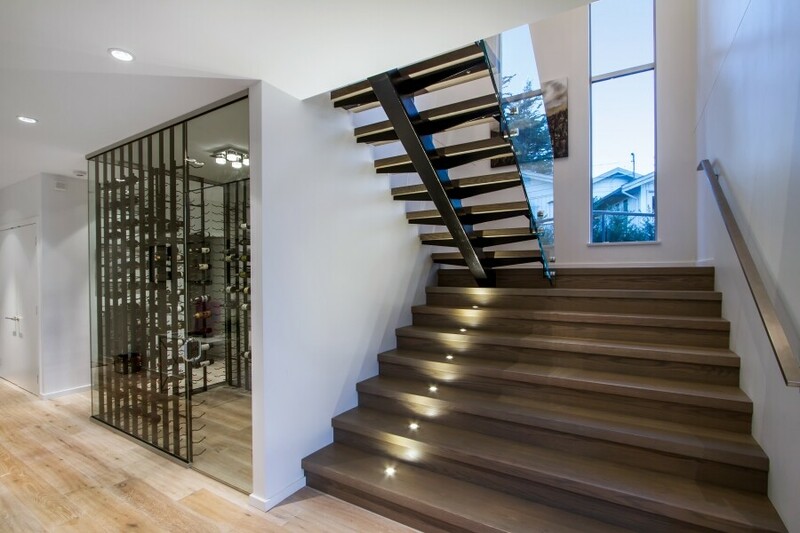 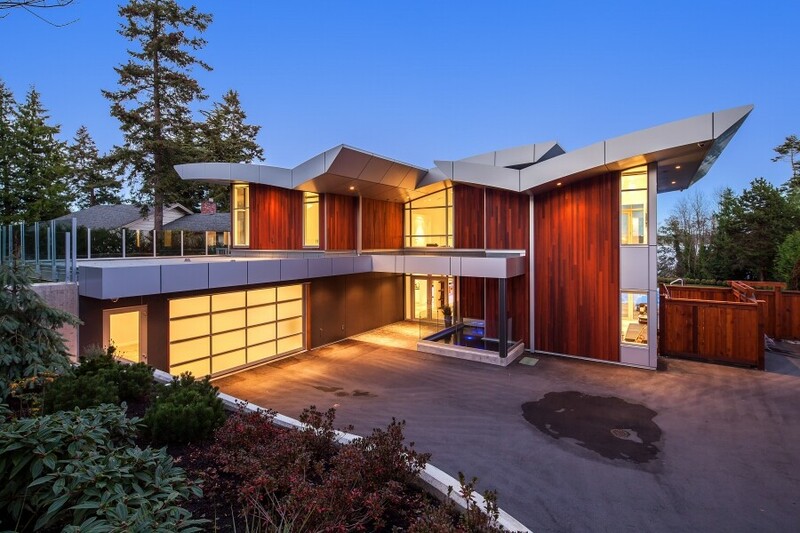 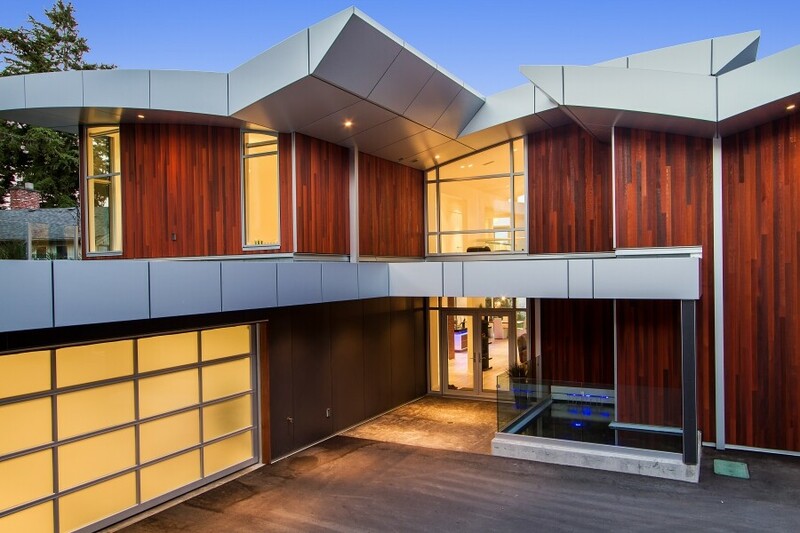 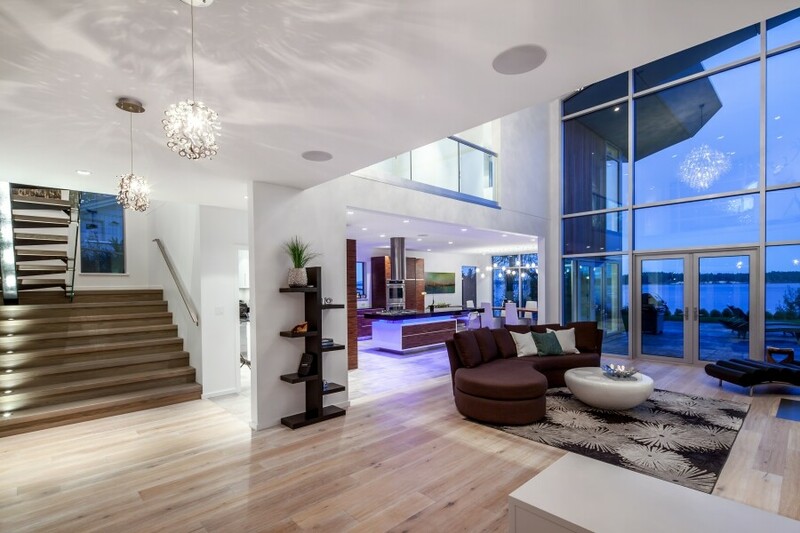 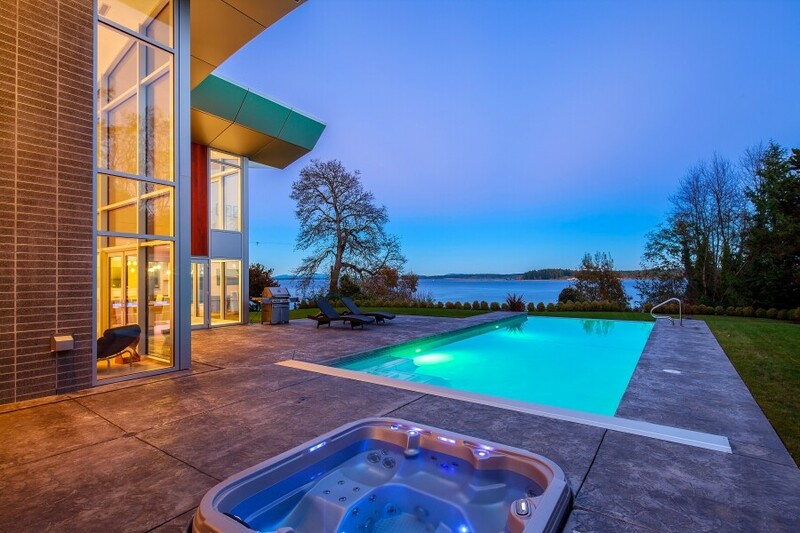 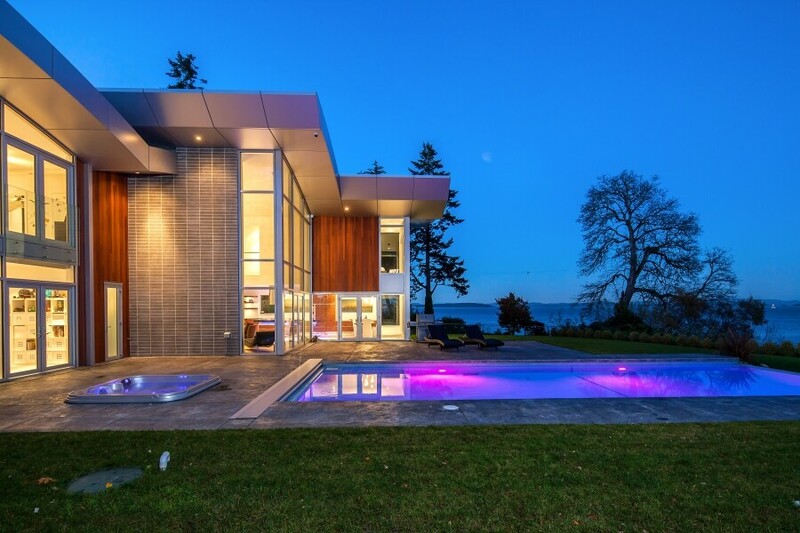 Exclusive gated waterfront house elegantly captures the Haro Straight (Canada) from this remarkable modern architectural design from Victoria-based 519 design +, Chris Foyd and Peter Johannknecht. 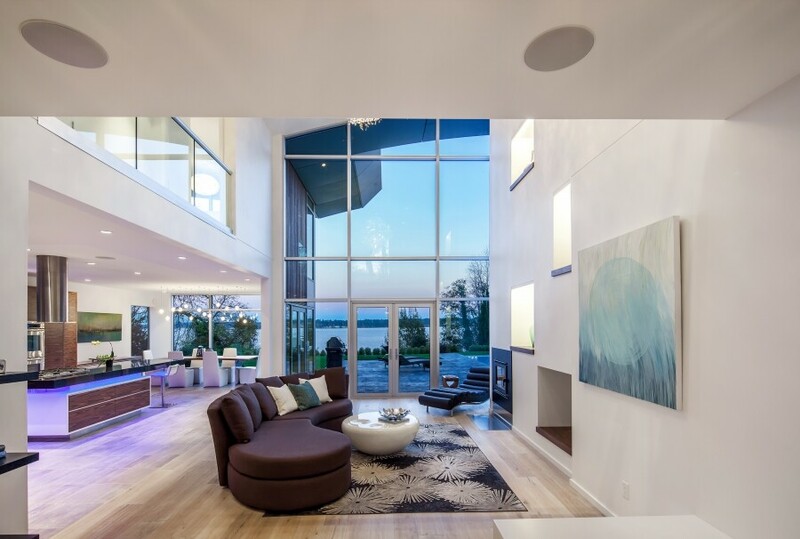 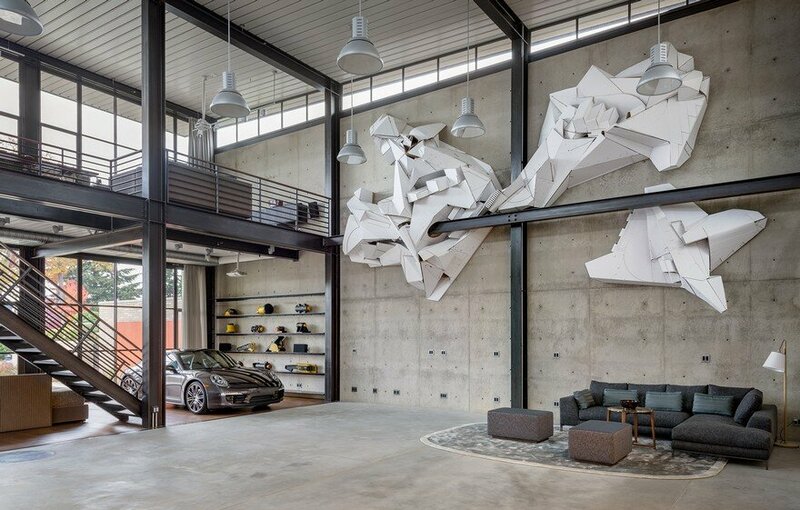 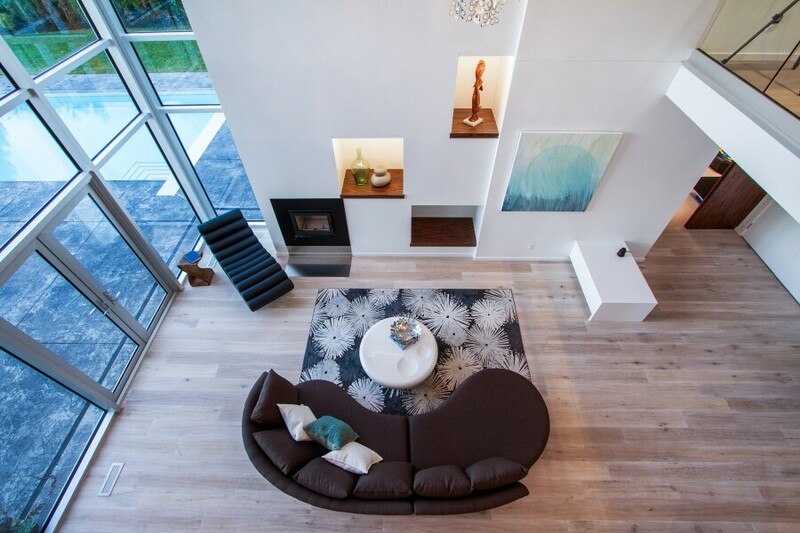 This fresh design is amplified by the natural light that cascades into the home from floor to ceiling windows allowing for stunning views throughout. 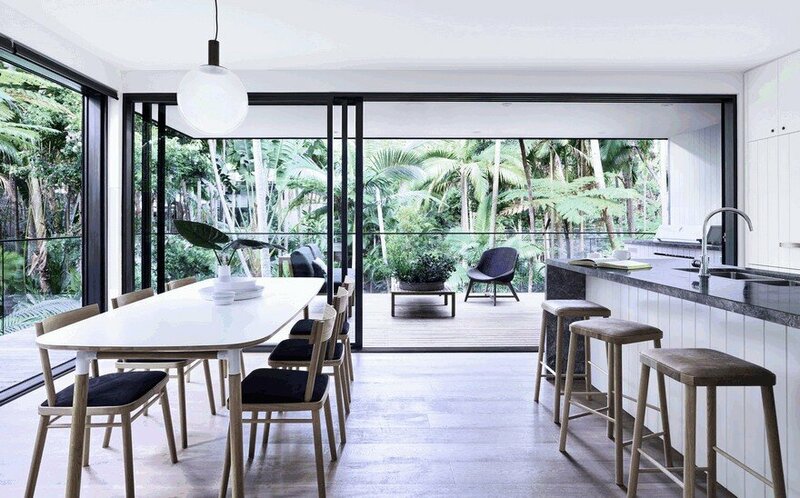 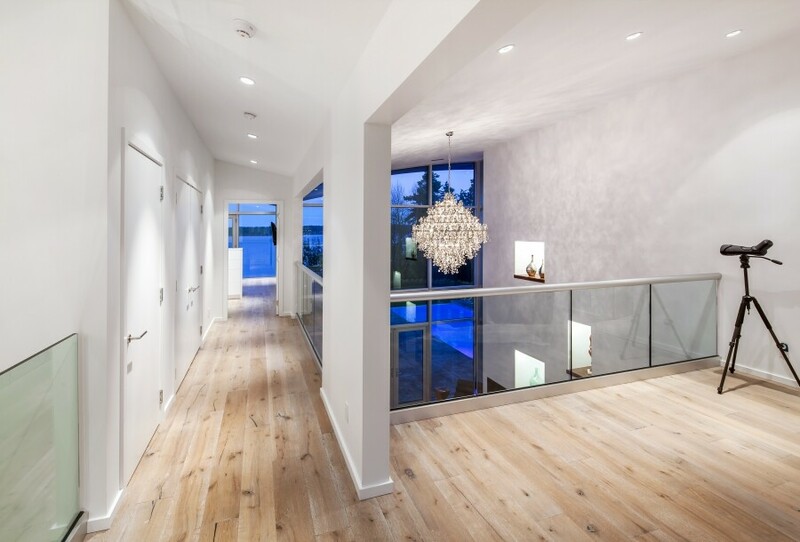 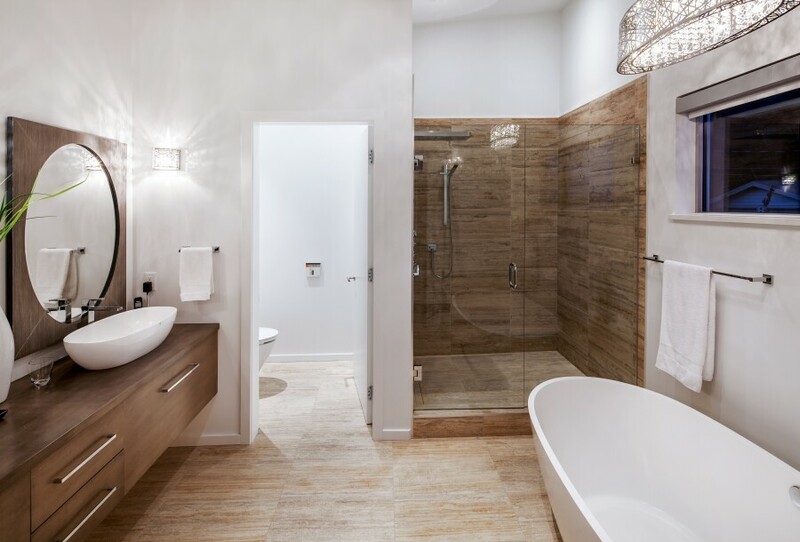 Glass is used throughout the home to maintain a bright and open appeal and the use of a variety of natural wood materials inspire this stunning contemporary West Coast scheme. 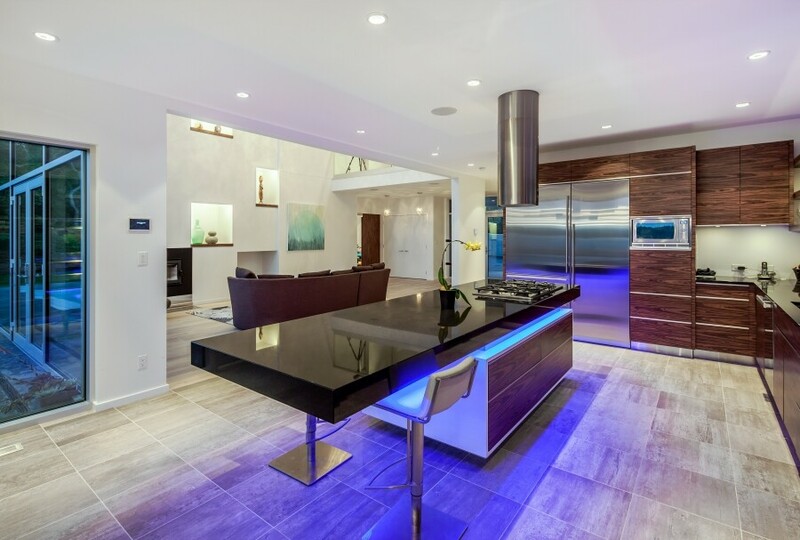 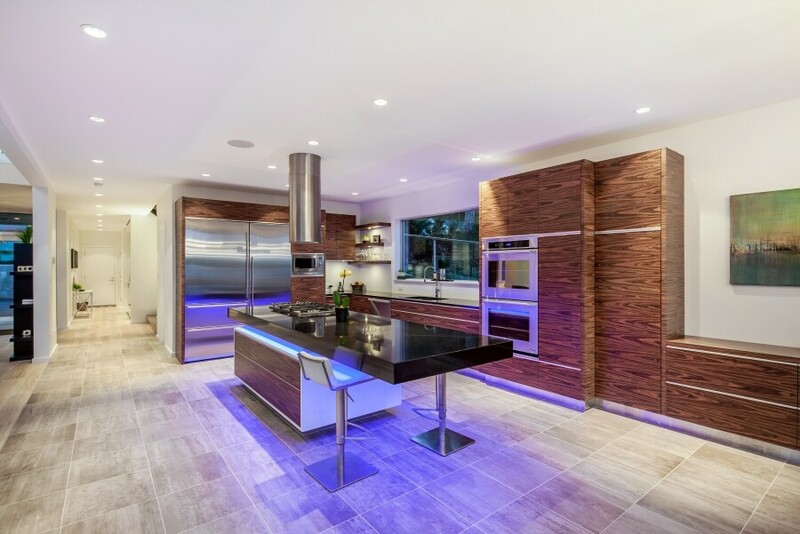 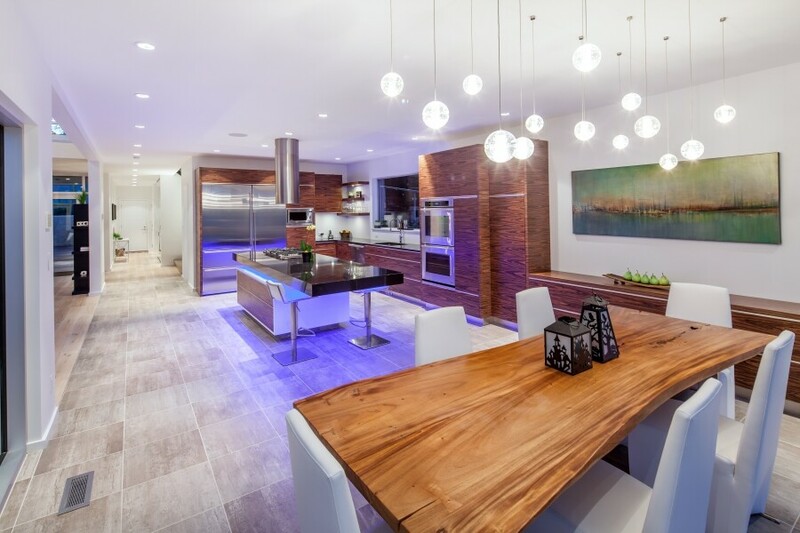 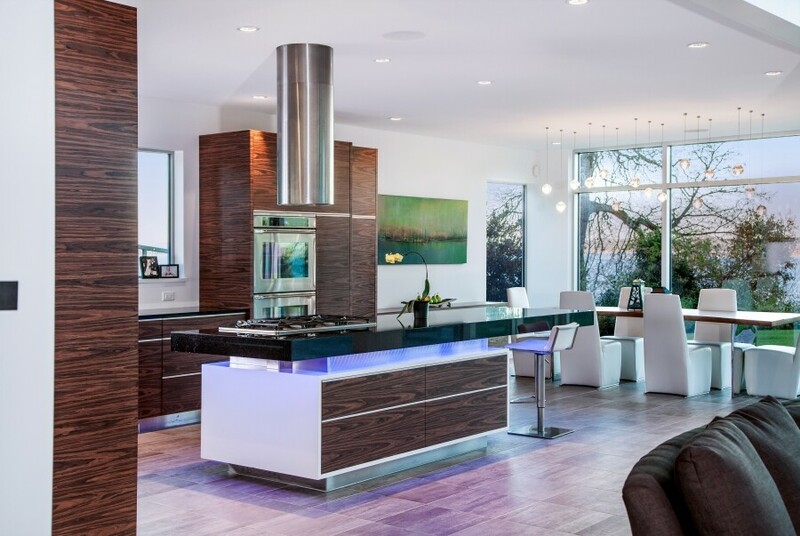 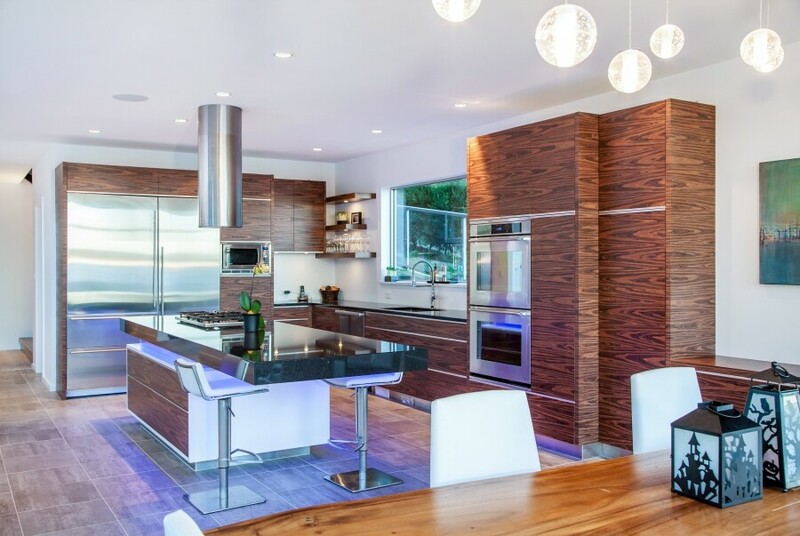 The modern kitchen creates a statement with custom wood cabinetry, granite countertops, top of the line stainless steel appliances and a chic Dacor gas range with Faber hood fan; a platform for entertaining or intimate dining. 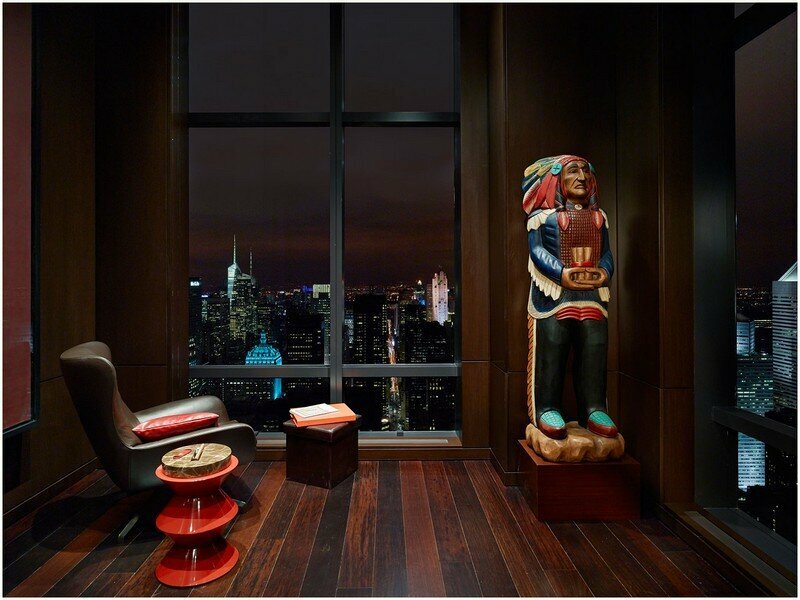 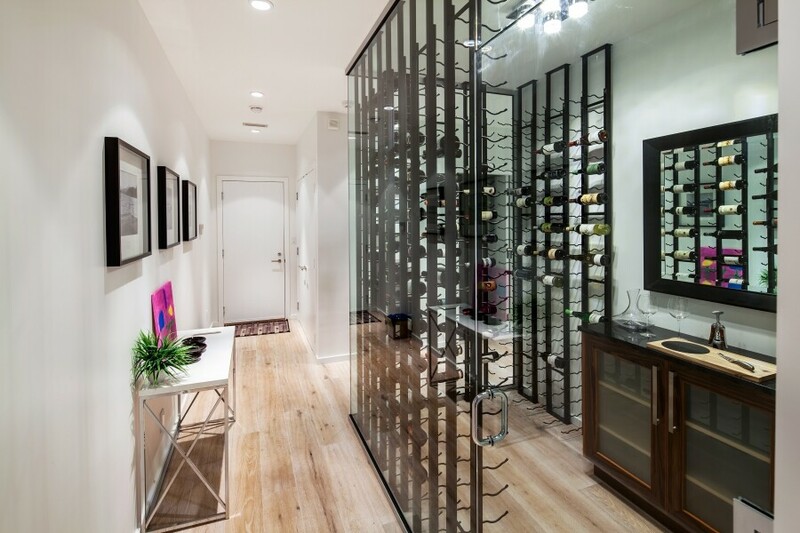 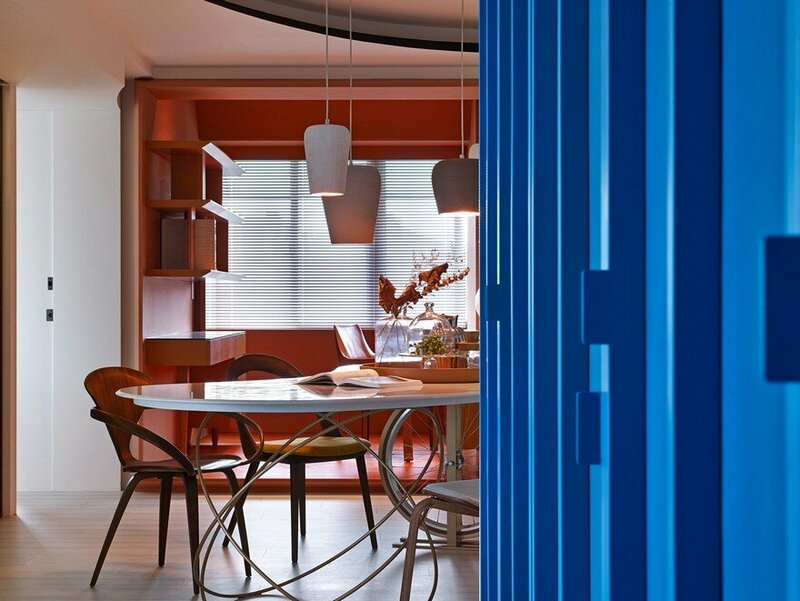 A glass encased wine cellar and fully wired media room bring additional luxury. 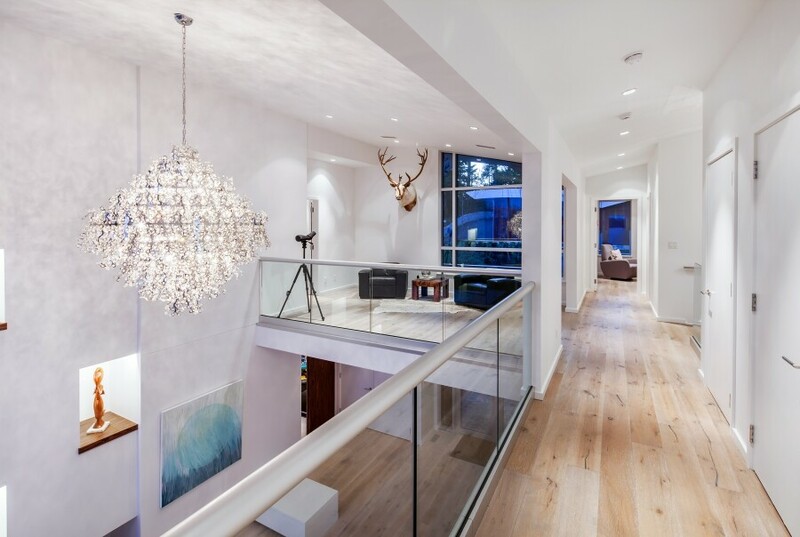 The upper level offers a luxurious Master and ensuite, with two additional bedrooms, allowing the classic family home and utmost style to unite in this modern home. 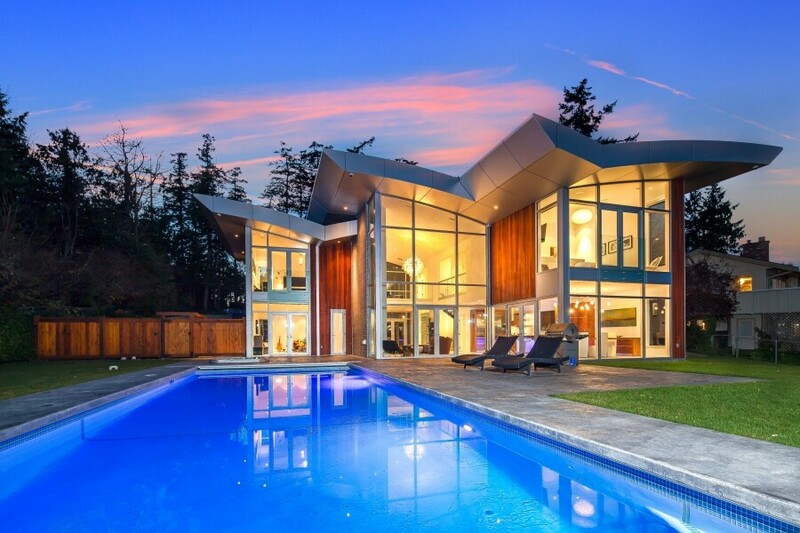 A spacious 4,900 square feet, this 5 bedroom estate has ample room for family or a separate two bedroom suite for guests.